"I'm a great believer in luck. The harder I work the more I have of it". We have built our reputation on this premise, and have provided twenty years of exemplary legal services in all five boroughs of New York City, Westchester, Putnam, Dutchess, Orange, Greene, Nassau and Suffolk Counties. We are a mid-size firm conveniently located in Port Chester, New York, just 30 minutes from mid-town Manhattan. Our practice areas include the defense of construction accident, Labor Law, insurance coverage, product liability, negligent security, Dram Shop, motor vehicle, commercial trucking, professional liability, premise liability, property damage, and general negligence cases. We understand the importance of developing an aggressive case strategy and action plan at case inception so that a successful and cost efficient resolution can be obtained. We value our clients, and pride ourselves on being immediately responsive to any inquiries or requests. We use a computerized case management system to keep clients informed via written reports, telephone conferences, and E-mail communications about all case developments as they unfold. While our primary area of practice is defense litigation, we also offer our clients a full array of legal services to meet all their legal needs, including plaintiff's personal injury, commercial contract drafting and negotiations, real estate, criminal and estate matters. To better serve our Connecticut clients, we also maintain an active practice in Brookfield, Connecticut. 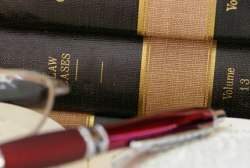 As our record of motion results, trial verdicts and successful appeals demonstrate, we have a very hard-working but very successful practice focusing on BI and PD defense, with a strong concentration in defense of Labor Law claims and the litigation and resolution of related insurance coverage disputes. We routinely take on New York City’s most prominent plaintiff personal injurty attorneys. Our excellence at trial, our expertise in the defense of brain injury and other high exposure claims, and our adept handling of even the most complex primary and excess coverage issues, and the timeliness and thorough quality of our reporting, has made us one of just a few preferred "go to" firms in the NYC area, for several carriers writing excess coverage and WC 1B, particularly for construction risks. We also pride ourselves on the accuracy of our estimates on verdict exposure and settlement range; as early as possible, we try to estimate claim value, (thoroughly considering all aspects of liability, defenses and awardable damages categories, including - where applicable - 50-b reduction to present value for future damages). We then revise exposure estimates - upward or downward - as warranted through discovery. Whether by settlement or verdict, we have an excellent record of "bringing it in" where predicted, (plus or minus 10%). We have over 20+ years of exemplary legal services in all five boroughs of New York City, Westchester, Putnam, Dutchess, Orange, Greene, Nassau and Suffolk Counties. We have built our reputation upon Thomas Jefferson's premise "I'm a great believer in luck. The harder I work the more I have of it". We are proud to be a part of the Port Chester community. We greatly support our community by shopping at local stores and dining at the various local eateries. We routinely make donations to St. Jude's. Every year, we donate to Toys for Tots. This year, we began an annual food drive for the Food Bank of Westchester.